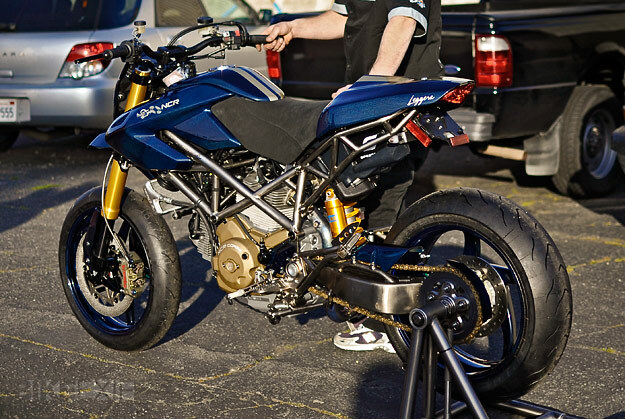 I didn’t think any bike could get more extreme than the NCR Millona M16 we revealed a couple of weeks ago. Until Chuck Squatriglia, editor of Wired Autopia, put me onto this $140,000 NCR Leggera special. 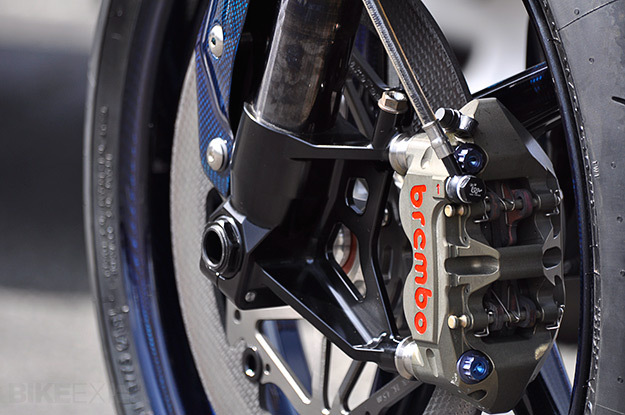 The stock Leggera is based on Ducati’s Hypermotard, but with a titanium trellis frame, Zard silencers, fully adjustable Öhlins suspension and a Brembo brake system. It weighs just 347 pounds—158 kg. This Leggera, however, is even more special. It was custom-made for a client of San Rafael dealer Hattar Motorsports, and the weight has dropped even further to just 300 pounds—136 kg. The bodywork and rims are carbon fiber and the Monster 1100S motor has been heavily reworked; rear wheel horsepower has been dyno’d at 116. (The bike still passed a Euro 3 emissions test.) 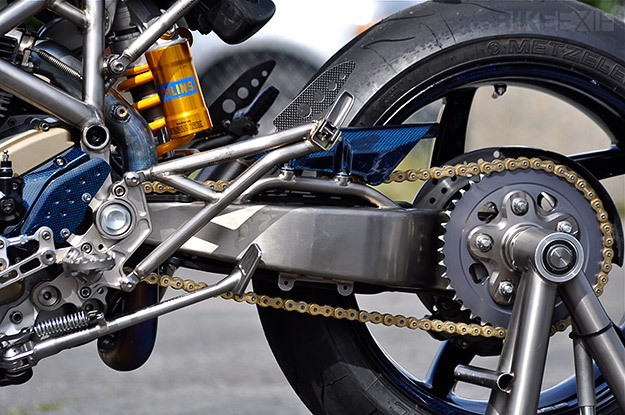 Titanium is everywhere, and not just in the frame of this special: it’s in the swingarm, exhaust, conrods, cam-belt pulleys and more. Even the sidestand is titanium. 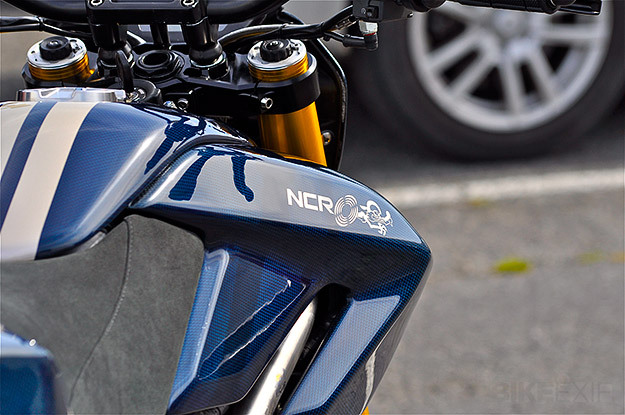 The resulting power-to-weight ratio is similar to that of a BMW S1000RR superbike, but in a much lighter package. The owner, incidentally, is an experienced dirt-track racer—so he’s probably one of the few riders able to use this machine to its full potential. Get the full story and more images here.